Im still here.. Fnaf 3 confirmed.. Wallpaper and background images in the Five Nights at Freddy's club tagged: photo. 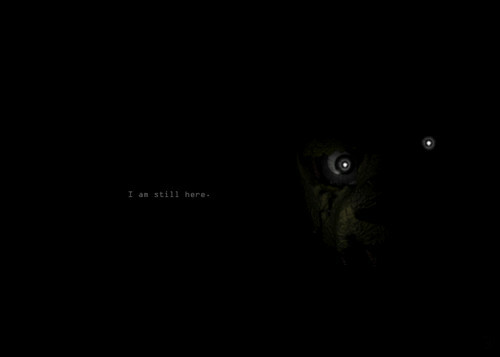 This Five Nights at Freddy's photo might contain 電気ウナギ, 電気盆電気, 電気うなぎ, and 電気泳動電気. Is golden freddy or a new one?!?!?! Cant wait to find out!